It is a pleasure and an honour to have been invited to address you during the opening ceremony of this high-level forum on “Policy and Programmatic Approaches to Sustainable Integrated Waste and Chemicals Management in Trinidad and Tobago. I wish I could be there in person with you, however I am also thankful to the wonders of modern technology that has allowed us to bridge the distance gap enabling me to join you from Geneva. These figures are of great concern, we live in a fast-changing world, surrounded with potential environmental threats that affect us and our future generations on a daily basis. By the middle of the 21st century 9000 million human beings are expected to generate over 13000 tons of waste, that is about 20 percent more than that generated in 2009. This increase in waste generation is most apparent in urban areas. Today more than 50 per cent of the world’s population lives in cities and by 2050 this number is expected to rise to around 70 per cent. Small Island Developing States are no exception. At least 10% of the 100 million tons of plastic we use every year end up in the oceans. This is the equivalent to the weight of 700 billion plastic bottles. Put on tops of each other these bottles would reach further than the sun. But they are not going to the sun, they are going into our oceans and will stay there for a long time affecting nature’s ecosystems and our lives. Although Chemicals and waste issues have been underplayed in the environmental agenda in the past, times are changing fast. The sustainable management of chemicals and waste is now seen as a fundamental cornerstone of the objectives in the Sustainable Development Goals (SDGs) set out in the 2030 Agenda for Sustainable Development where the Basel, Rotterdam and Stockholm Conventions are highlighted as the key legally binding instruments whose implementation contributes towards achieving by 2030 all the goals of the 2030 agenda. As part of the key players contributing towards the implementation of these three conventions is the network of 22 regional centres for capacity-building and the transfer of technology which have been established under the aegis of the Basel and the Stockholm Conventions, one of which is your host today, the Basel Convention Regional Centre for the Caribbean or BCRC Caribbean as it is more commonly known. 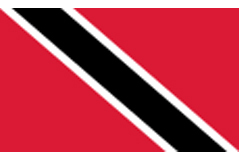 Since establishment in October 2004 when its Framework Agreement was signed between the Government of Trinidad and the Secretariat of the Basel Convention on behalf of the Conference of the Parties to the Convention, the BCRC- Caribbean has played a fundamental role providing capacity-building and assistance to 13 countries in the region. More recently under the able leadership of the outgoing Director, Mr. Ahmad Khan, the centre demonstrated that it has the required technical know-how in the fields of wastes and chemicals, playing a key role in fostering the coordinated implementation of the chemicals and wastes conventions in the Caribbean. It is worth noting that the Centre has been successful in mobilizing more than 20 million USD for activities and projects in the last couple of years. As you know the negotiations are now ongoing on the GEF 7, thus I take the opportunity to invite all the SIDs in the region to ensure that SIDS issues are reflected and the GEF has enough resources to implement the Conventions. I want to highlight that this region is very lucky to have a regional Centre that caters for the needs of SIDs, providing assistance for the implementation of the conventions and which is actually in a SID. There is only one other such regional Centre amongst our network of centres and that is the one for the Pacific located in Samoa. SIDs in the African region are not that lucky, they are served by centres located in the continent. The Conference of the Parties at its meeting in 2015 recognized the achievements of the centre and evaluated its performance, placing it along-side the top performing regional centres. We expect this trend will continue under the leadership of the Acting Director Ms. Jewel Batchsingh and that it will be recognized by the Conference of the Parties at its next meeting in May 2019 when it evaluates again the performance of its regional centres. Ladies and gentlemen, over the past 20 years the BCRC Caribbean has demonstrated through its activities its dedication towards the achievement of the environmentally sound management of chemicals and all wastes throughout their life cycle, this is also testimony of the commitment the Government of Trinidad Tobago has towards the region and the world to implement the Basel, Rotterdam and Stockholm Conventions as well as the Minamata Convention and SAICM. I look forward to continuing strengthening our collaboration as we Continue to implement the chemicals and wastes conventions. Before I finish, I want to invite you to celebrate! To celebrate today the 10th anniversary of the entry into force of the Stockholm Convention for Cuba! And to celebrate more than 20 years of activities of the BCRC. It only rests for me to wish you the best in your work in this High-level Forum over the next 2 days and I look forward to meeting you all in person in the near future.